Acer has announced the Revo Build M1-601, a super-small Windows 10 unit that can be expanded and customized with a series of stackable blocks. So, in the base unit you'll find a super small form factor PC that only occupies 125 millimeters square on your table and comes with a low-power Intel Pentium or Celeron chip. Then, if you want to expand the machine's 32GB storage, you can plonk on a 500GB or 1TB external hard drive in a case that sits perfectly on top. Each block connects to the one below using magnetic coupling and pogo pins -- like a tower of single Duplo bricks -- and enables you to create a PC that grows in capability with each addition. In one way, this hardware is a less exciting variant on Razer's Project Christine, which made every component modular in the hope of ending the days of buying new desktops. This version does similar, but you'll still be expected to shell out for a replacement base unit every few years. As Acer's Eric Ackerson told me, it's still early days and there are plans afoot to develop external graphics units that'll help bolster the core's limited insides. In addition, users can only stack five units at a time to avoid things becoming too awkward, although at that point you'll probably need a more powerful unit. Adding a drive is effortless, since all you need to do is drop your new drive down upon the stack and the magnetic coupling (and pogo) pins do the rest. The company hasn't gone too deep into how expandable the system is, but a rogue spec sheet has mentioned external storage, audio modules (for using Cortana), projectors and a wireless charging plate that pulls double duty as a mobile battery. Unfortunately, we're fairly sure that Acer's not going to be able to sell these devices as cheaply as their USB equivalents from Amazon. That's a shame, since the idea has some merit and it'd be great to see modular computing make it to the home. We'll probably find out much more about this device closer to the launch, which is in October in EMEA and December in China, with prices starting at €199 and Y1,999, respectively. 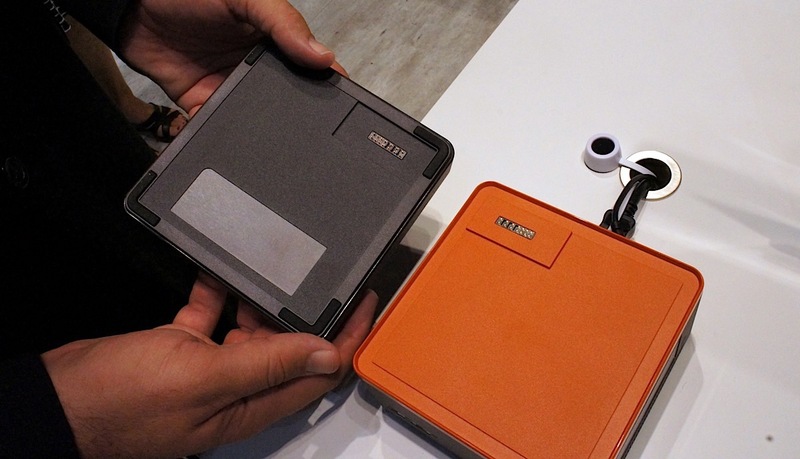 Check out all the news from Berlin at our IFA 2015 hub!